For the most part, I tend to be the really easygoing type. I try to be Zen whenever possible, and I try not to let the small stuff get to me. Even so, we all have our pet peeves, and for me, a major pet peeve is telemarketers, scam calls, and robocalls. I can honestly tell you that I receive far more of these unwanted calls than legitimate calls over the course of any given week. Thankfully, Google and Apple seem to be making it their mission to do something about these calls. Although the two companies seem to have the same basic goal of putting a stop to unwanted calls, Google and Apple are taking completely different approaches from one another. Apple filed a patent way back in April 2017 that has only recently been made public. The patent describes a system that would allow an iPhone to check to see if a call is coming from a spoofed phone number. As I’m sure you know, many scam calls display caller ID information that is designed to obscure the call’s real purpose. 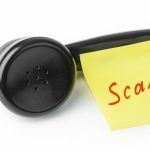 A tech support scammer, for instance, might spoof a phone number with a 425 area code (Redmond, Wash.) and display “Microsoft Corp.” on the caller ID. Apple’s plan would presumably be able to differentiate between a call that really is coming from the Microsoft headquarters in Redmond and scam calls that are coming from a scammer in some faraway place. 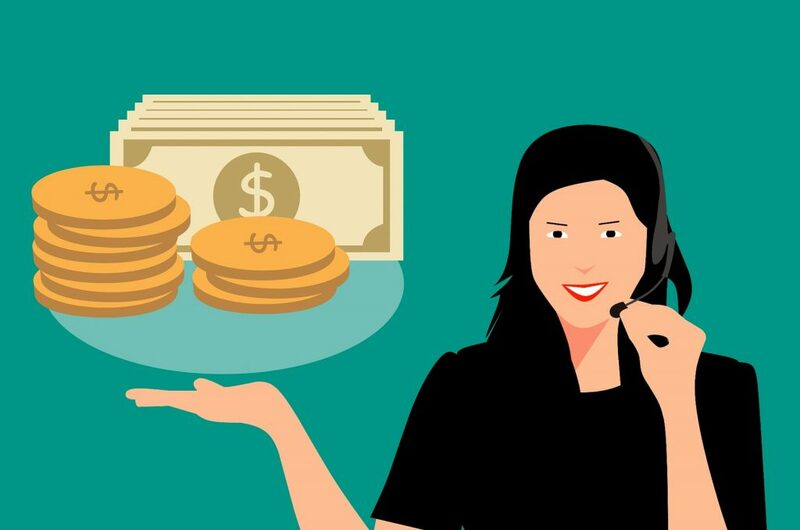 Scammers are able to spoof phone numbers and caller ID information by subscribing to a digital PBX service (this is only one of several available methods). These services are by and large legitimate and provide phone, voicemail, and other forms of electronic communications to small businesses. A scammer (or anyone else who wants to trick you into answering the phone) can easily subscribe to such a service and use it to their advantage. Because these services are typically designed for use by small businesses, they often have a customizable caller ID feature through which subscribers can enter their business name. Scammers use this feature to spoof another company or a government agency. According to the patent, Apple will try to eliminate these types of calls by using a “template-based” approach. Templates will be used to examine things like the network topologies, call routing, and the session protocol that is being used. The goal is to examine these and other elements for consistency in an effort to determine whether or not the caller is attempting to spoof someone else’s identity. If it is determined that there is a high probability that the caller’s identity is being spoofed, then a message could be displayed to the recipient of the call, giving them the option of answering the call or opting out of it. It is worth noting that although Apple has patented this mechanism for detecting spoofed calls, the mechanism has not yet been added to the iPhone or to any other device. Google is taking a completely different approach to preventing unwanted phone calls. Rather than performing a forensic analysis of the incoming call as Apple plans to do, Google is leveraging its personal digital assistant. I wrote recently about how Google has perfected its Duplex technology to the point that it can make phone calls on your behalf. Not surprisingly, Google is using similar technology to intercept potentially unwanted phone calls. Google’s call screen is basically the modern equivalent of letting your answering machine answer a call so that you can hear who it is and what they want before picking up. When a call comes in from a number that you do not recognize, you simply click a button and the call is handled by Google’s call screener. The call screener says to the caller, “Hi, the person you’re calling is using a screening service from Google, and will get a copy of this conversation. Go ahead and say your name and why you’re calling.” The call screener then transcribes the caller’s response and displays it on-screen, thus allowing you to decide whether or not to accept the call. I think that Google’s call screener is a good idea, but I can’t help but wonder if the idea will backfire. At first, I think that the call screener will probably do a good job of getting rid of telemarketers, but will probably be completely ineffective against robocalls. Over time, however, I think that both telemarketers and robocallers will change their tactics so as to manipulate Google’s call screener. Rather than being put off by the service, telemarketers are likely to come up with a 10-second sales pitch that they can use whenever Google answers the phone. This sales pitch will then be transcribed onto the recipient’s phone, and will likely end up being like text spam. Robocalls, on the other hand, may be specifically designed to detect Google’s call screener and convey similar short sales pitches to the screener. I wouldn’t be surprised if widespread use of Google’s call screener actually led to an increase in unwanted calls. Think about it… Right now most people hang up as soon as the telemarketer, robot, or scammer starts talking. Google call screener gives those people a chance to display a concise message on the call recipient’s device. This is a message that the person would not have otherwise received because prior to the Google call screener, the person would have hung up before getting the pitch. Conversely, Apple’s approach may be far more effective — if it works. Apple’s mechanism for eliminating unwanted calls is technically complex and who knows how long it will take for Apple to perfect this mechanism. Of course, Apple’s attempt at getting rid of unwanted calls will only work if those calls are using identity spoofing. If a telemarketer wants to beat Apple’s defenses, they need only to use a real phone number. Unsolicited phone calls are not just annoying, they are also dangerous. I know quite a few people who have been scammed out of cash by fraudsters claiming to be from the tech support department, the IRS, etc. In an especially egregious incident, a family member once received a call from a scammer who tried to impersonate his nephew, and who claimed to need $5,000 in bail money so that he might be released from a Mexican jail. It was an obvious fraud since the man’s nephew had just left his house half an hour before the call came in. My personal recommendation is not to accept any calls from people who you don’t know or are not expecting a call from. Even speaking to a telemarketer can have consequences. A few years ago, for example, there was a scam in which telemarketers were recording people’s voices and doing a cut and paste job on the audio to make it sound as though those people had agreed to some sort of charge. While I do think that Google and Apple will initially make an impact in the war against scam calls, I think that there are weaknesses in both solutions. There is a very real opportunity for some third-party to create an even better solution. Various websites exist that keep track of numbers used for spam, fraud, and scam calls. Someone could conceivably build an app that cross-references some of these websites in an effort to determine whether a call might be spam. I think Google's approach is quite good. I think the worst part is when scammers or telemarketers ask you questions trying to extend the length of the conversation to make you feel engaged before revealing their selling point. Maybe Google will evolve the service to analyse the results from users and make a general ruling once a certain percentage of users have deemed the caller to be malicious. @Luke, I think that's a really good idea.